I just got finished watching this match, and some may call me biased because both men are in my top 5 favorite wrestlers of all time, but I feel this match has aged well (and that's likely because I haven't watched it in so long). I mean, it's not for everyone, but if you like a straight wrestling match, this is excellent. Now, I would like to have seen some falls throughout, but it doesn't hurt the match that much. 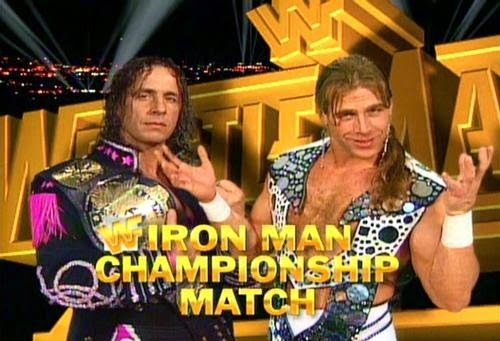 I also believe that had they not announced it as an Ironman Match during the buildup and the match just happened to go 60 minutes, with or without the overtime, it would've been that much better. Overall, I'll go with ****3/4 on this one. Classic.